GDP growth numbers are too unreliable, both historic and forecast numbers, to use as a basis for predictions. 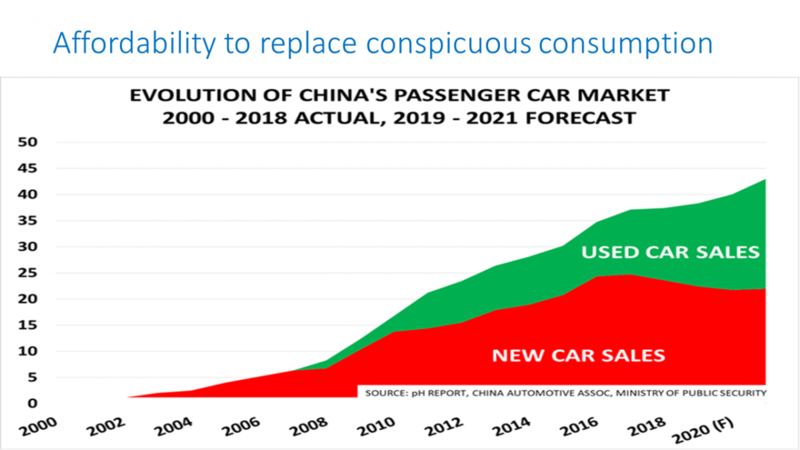 China is too big and disparate a market to treat as one country only – you have to break China down into different regions. 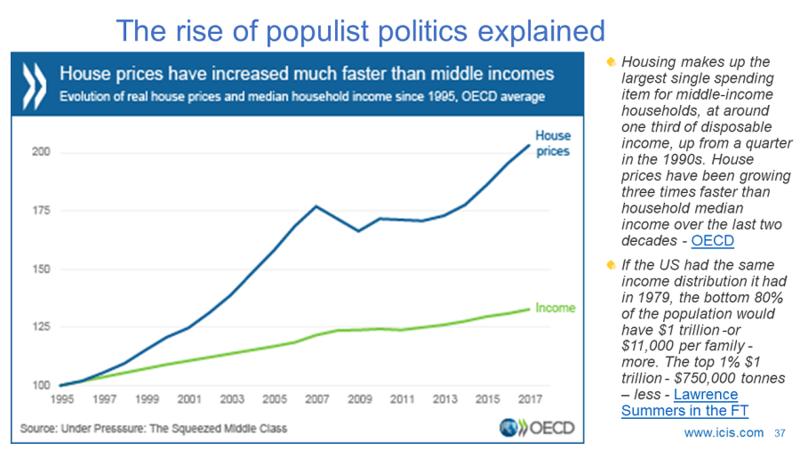 My working theory involves these four regions: The rich eastern and southern coastal provinces; the struggling northeast, China’s rust belt, where manufacturing capacity is being shut down; the booming middle provinces, closest inland to the coastal provinces; and very poor far west China. My suggestions are that we need to start from provincial-level data for retail sales, industrial production and per capita consumption and work upwards towards forecasts for my four regions – and then, of course, nationwide numbers. Many people will no doubt raise immediate practical objections. They will say this is just too difficult. But what we are doing right now simply isn’t working. 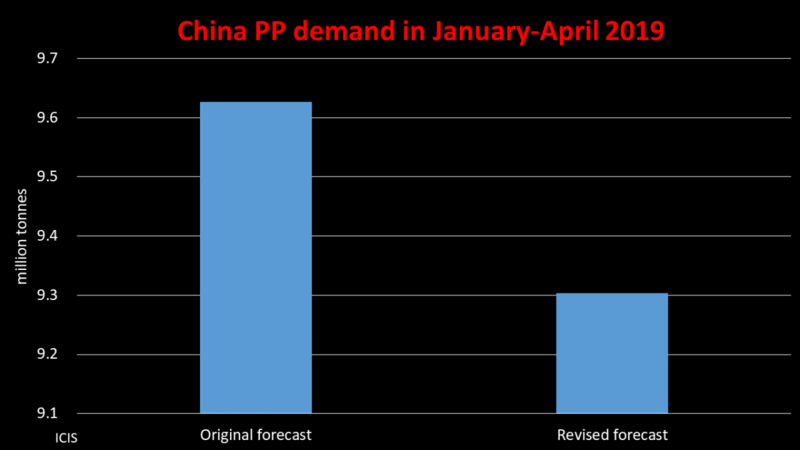 Over the last ten years, the accuracy of forecasts on China has slipped as China has become more and more important. 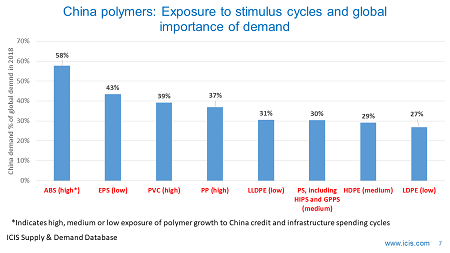 The above chart on polyethylene illustrates the point about the growth of China’s importance. 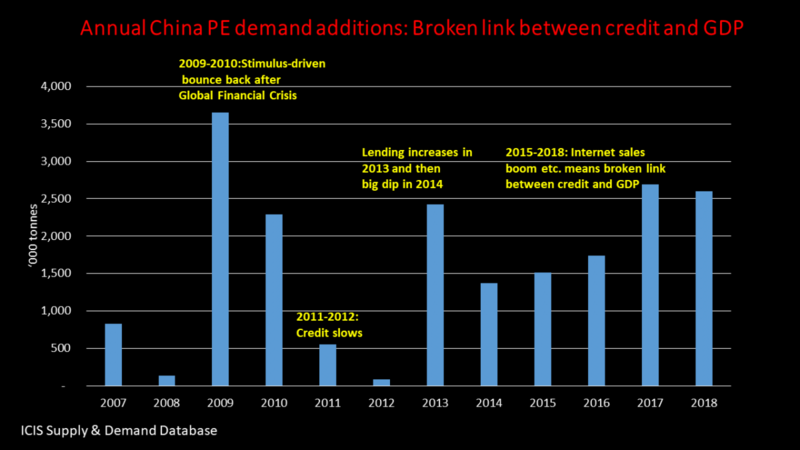 In the second half of the interview, we discuss the issue of China stimulus. 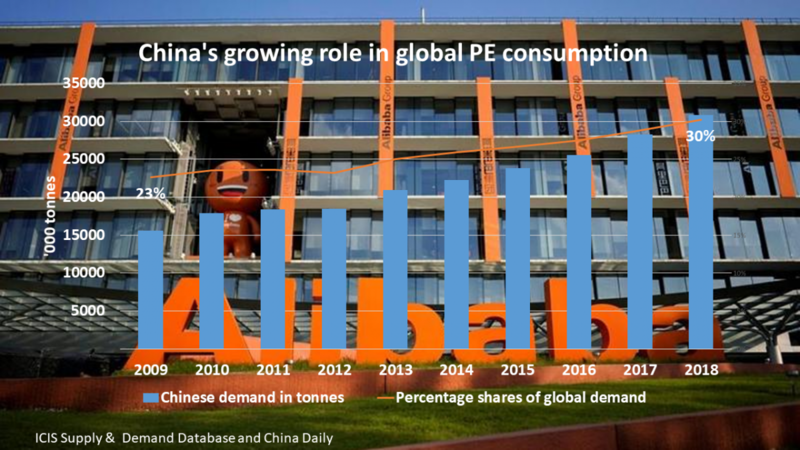 Will new China stimulus lead to a big upswing in chemicals prices and demand? My first theory was perhaps yes, based on the big rise in January Total Social Financing (TSF). Theory Two was that most of the extra stimulus in both January and February (up to 26% year-on-year) was about stablising companies facing debt default because of last year’s credit squeeze. 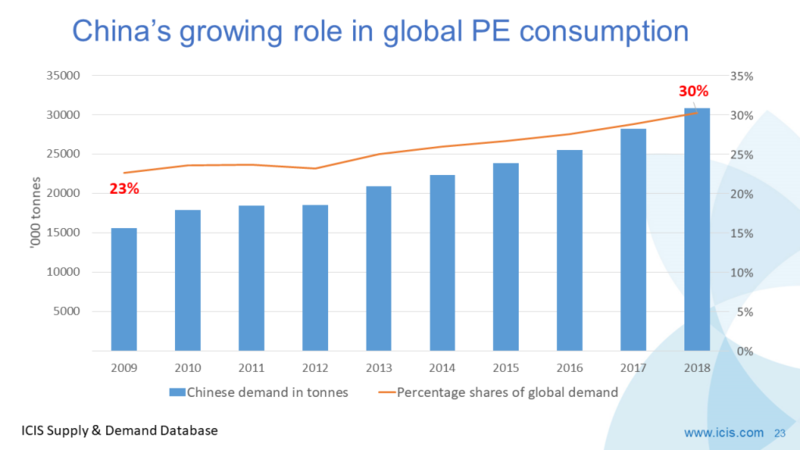 China’s official and unofficial Purchasing Managers’ Indices for March were higher and back above 50 – expansionary territory. The rise in the official PMI followed three months of contraction. This suggests, as I point out in the interview, that the truth lies somewhere between Theory One and Theory Two. 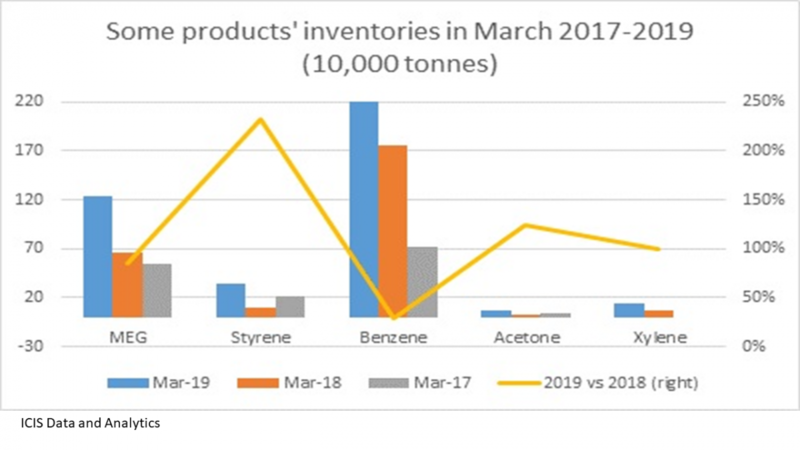 The bounce back in the PMIs seems likely to bolster chemicals markets in the short term. 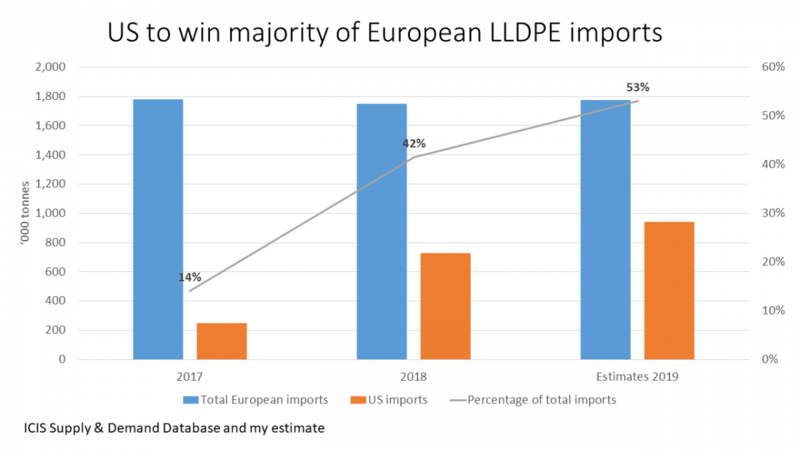 An even bigger boost would happen if and when a trade deal is reached.